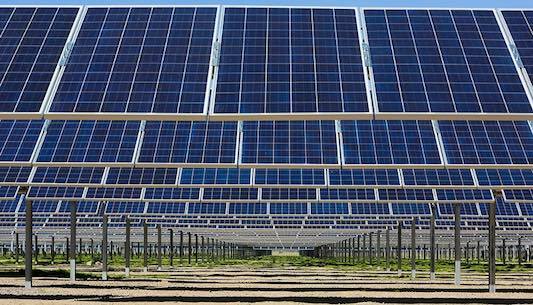 Tucson Electric Power to buy new solar power at under 3 cents per kWh, a "historically low price." Remarkable drops in the cost of solar and wind power have effectively turned the global power market upside down in recent years. We've seen prices for new solar farms below 3 cents per kilowatt hour (kwh) in other countries for over a year now, but before this week, not in the U.S.
That changed on Monday when Tucson Electric Power (TEP), an Arizona utility company, announced that it had reached an agreement to buy solar power at the same game-changing price. TEP says that this is a "historically low price" for a 100-megawatt system capable of powering 21,000 homes -- and that the sub-3-cents price is "less than half as much as it agreed to pay under similar contracts in recent years." For context, the average U.S. residential price for electricity is nearly 13 cents per kwh, and the average commercial price is 10.5 cents. NextEra Energy Resources will build and operate the system, which also includes "a long duration battery storage system" (whose price is not included in the 3 cents/kwh). Also worth noting: The sub-3-cents contracts that have been signed in other countries such as Chile, Dubai, and Mexico are unsubsidized, whereas U.S. prices include the 30 percent Investment Tax Credit. PV Magazine reports "this is the lowest price" they've seen for solar yet in this country. And Bloomberg New Energy Finance chair Michael Liebreich explained last month that thanks to recent price drops, "unsubsidized wind and solar can provide the lowest cost new electrical power in an increasing number of countries, even in the developing world -- sometimes by a factor of two." The TEP contract is one more sign that the renewable revolution is unstoppable.